In the arid desert plains of northeastern Iraq, just south of Erbil, lies a sprawling city of tents and ramshackle shelters. In less than a year, Debaga Camp has sprung up and swollen to a vast size, as displaced Iraqi citizens flee the deteriorating conditions in their villages and towns. Currently, Debaga hosts more than 30,000 internally displaced persons (IDPs), but that number will swell in the coming months, as more people flee the fighting in nearby Mosul. Reports indicate that many of the IDPs are not being granted the right to enter the larger Iraqi cities due to security concerns. Left with nowhere else to go, they remain at Debaga and can only hope that, at some point, they will have the chance to relocate somewhere to restart their lives. Since the early 2000s, the Iraqi people have endured relentless violence and displacement within their beleaguered country. Foreign invasion, civil war, and the eventual division of the country along ethnic and political lines has created a uniquely severe humanitarian emergency. UNICEF estimates that around 3.4 million people have been displaced within the country since January 2014, and also reports that the relief camps, hastily assembled to deal with this crisis, are dangerously over capacity. Providing basic needs such as clean water, healthy food, and sanitation supplies to this rapidly growing mass of people presents the biggest, most urgent immediate challenge. 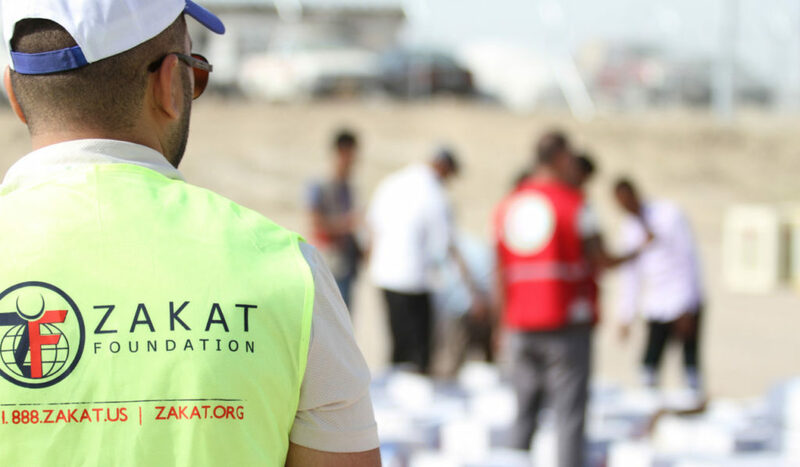 Zakat Foundation of America (ZF) has initiated emergency relief operations for the distraught, isolated residents of Debaga, and will be continuing to reach out to stranded residents of that camp as well as other Iraqi communities in need during the coming months. ZF is committed to alleviating the hardship of the Iraqi people, and to bringing light into the darkness of constant conflict, no matter how long it takes. Please consider joining us and carry the soothing spirit of unconditional care to Iraq’s most vulnerable citizens today.